With a secret family in Italy, including a grandfather murdered by the mafia, the personal life of Michael Nyqvist was every bit as intriguing as the dark Swedish thriller The Girl with the Dragon Tattoo (2009), the film that made him internationally famous. His world was turned upside down when he was five or six years old and his parents told him he was adopted, but that it was a "family secret" and he must not tell anyone. Suddenly he felt a deep sense of confusion and loneliness. "Bearing that secret made me mentally isolated. All the time I was afraid to say something wrong," he said. "It felt like I was walking around with a bomb belt that could explode at any time. In addition I thought that child welfare could come and pick me up if I did not behave properly." To make matters worse his adoptive parents split up soon after. He was in his thirties before he decided to track down his parents, an investigation that would take him to the other end of Europe. Nyqvist located his mother and they met in a Stockholm café. It was to be their only meeting. She did not want to begin a relationship with a son she did not know. "I do not blame her," Nyqvist said. "I do not blame anyone . . . She can always reach me, read my books, watch me in the movies. Maybe that's why I have this profession." Yet he struggled with rejection. He needed counseling, he married a psychologist, Pinita Rodríguez, had a daughter, got divorced and decided to resume the search for his other parent. He knew his father's family came from Sicily, where his grandfather had a vineyard. His grandfather was murdered by the mafia after agreeing to testify in a court case. Nyqvist established that his father might be Marcello Lo Cicero, a pharmacist in Florence. Nyqvist flew there, but discovered he was on holiday in Ireland. A few weeks later Nyqvist's phone rang and a voice said: "Ciao, è tuo padre — Hi, it’s your father." "My biological father and his family [including Nyqvist’s two half-sisters] have received me and my family with open arms," he said. "We hear from them quite often and see them when we can." He said it meant everything to him and he felt like a changed man. He later wrote about the entire experience in an acclaimed 2010 book entitled När barnet lagt sig. His film career was blossoming on the back of The Girl with the Dragon Tattoo, its sequels and several roles as villains in big Hollywood films, including Mission Impossible: Ghost Protocol (2011), and he embraced his Italian heritage, buying a vineyard and olive grove in Tuscany. He was born Rolf Åke Mikael Nyqvist in Stockholm in 1960, and was handed to an orphanage and adopted as an infant by a lawyer and his wife. When he was 17 he spent a year as an exchange student in Omaha, Nebraska, where he took acting classes. When he returned to Sweden he abandoned thoughts of becoming a teacher or lawyer and enrolled in ballet school — a choice largely determined by the fact that he was in love with a girl who did ballet. He dropped out, wound up at drama school and began acting. He married for a second time, to Catharina Ehrnrooth, a production designer, who survives him, with Ellen, his daughter from his first marriage, who is a designer, and Arthur, who has a YouTube remixes channel. Nyqvist was in his forties when he made The Girl with the Dragon Tattoo, an adaptation of Stieg Larsson’s best-seller. He played the disgraced investigative journalist and publisher Mikael Blomkvist, who links up with computer hacker Lisbeth Salander (Noomi Rapace) to investigate the disappearance of a woman many years earlier and uncovers some murky goings-on. They reprised their roles in The Girl who Played with Fire (2009) and The Girl who Kicked the Hornet’s Nest (2009). Now at peace with himself and relatively wealthy, Nyqvist set up a company called Picky Drinks four years ago and began marketing his wines on the Swedish market as Collezione Lo Cicero, employing the original family name. The labels showed him as Death, as portrayed in the classic Ingmar Bergman film The Seventh Seal, and were designed by Ellen, a graduate of Central St Martins art school in London. "I have accepted my background," he said. 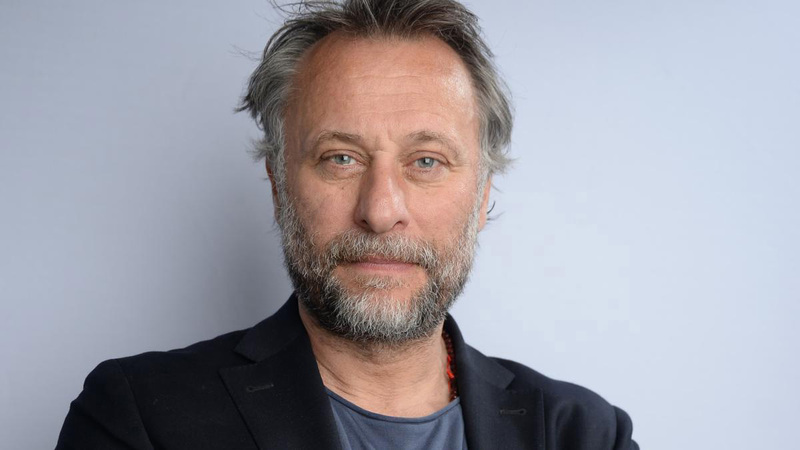 Michael Nyqvist, actor, was born on November 8, 1960. He died of lung cancer on June 27, 2017, aged 56.